Immigration Minister John McCallum acknowledges not everyone in the Liberal caucus is as enthusiastic as he is in welcoming more immigrants and refugees to Canada over the next three years. "If you spend more money bringing in more immigrants you have less money for other things. That's one factor," McCallum told CBC Radio's The House host Chris Hall when asked about trying to pitch his new targets to his colleagues. "Generally they seem to be on the same page, but Parliament hasn't yet gone back and we're going to have more discussion about this." McCallum said some of the internal rumblings are also about how to sell Canadians on the idea that more immigration is good for the country. The immigration, refugees and citizenship minister spent the summer hosting immigration consultations in Canadian cities. "Canada is something of an oasis in the sense that the polling does show we are far more welcoming to immigrants and we stand out to the world for welcoming the refugees, but we cannot take this positive feeling by Canadians for granted," he told Hall, ahead of a refugee and migration summit at the United Nations General Assembly in New York next week. Immigration has become a wedge issue in the Conservative leadership race after contender Kellie Leitch floated the idea of screening newcomers for "anti-Canadian values." After first facing a backlash, including from members of her own party, she hasn't backed down on her argument, pointing to a Toronto Star poll published last week that suggests the bulk of Conservative supporters support the idea. "Canada is welcoming, but we're not perfect by any means," said McCallum. "[Canadians] want the immigrants to be well settled and they want to ensure there are jobs for Canadians." 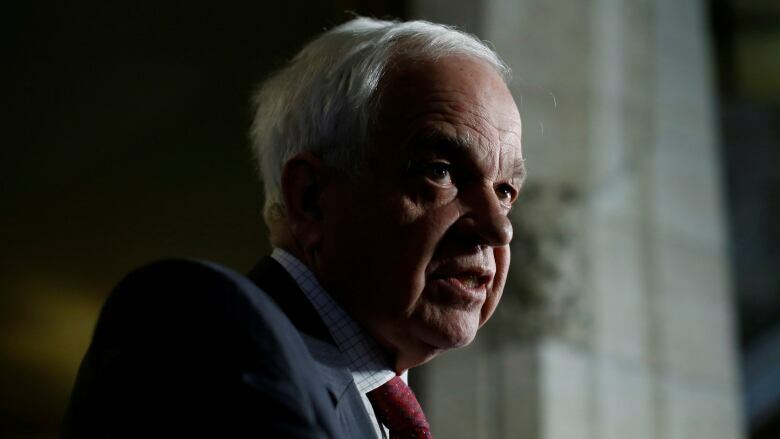 Canada will welcome a "sizable" number of new refugees from Syria and other nations over the next three years, but McCallum won't reveal exact numbers until November. 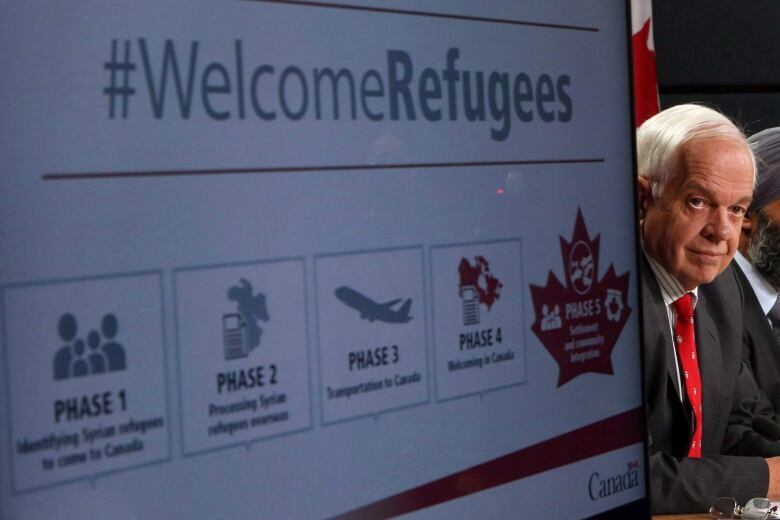 He expects the bulk of those refugees to be "economic refugees," people who could help Canada's demographics and labour shortage problems. "We're working to improve the system, reduce the barriers, give points to international students, to make it so it's way more likely that those who come will immediately have work and get good income and contribute to the community and the economy," the minister said. In the last 10 months Canada has welcomed over 30,000 refugees from Syria, but McCallum said the government "could always do better." "I think we could be quicker to provide language training," he said. "It's never perfect. I think we did very well in terms of getting them here safely and with proper health and security checks in four months.… Virtually all of them, I think 100 per cent, are now in permanent housing. So that's good." Another issue for newcomers with specialized skills, including doctors and engineers, is obtaining proper accreditation in Canada. McCallum said that responsibility largely lies with the provinces, and it will be brought up at a federal-provincial meeting on the issue next year. Prime Minister Justin Trudeau will tout Canada's immigration experiment at the UN next week where he'll take part in the refugee and migration summit hosted by Secretary General Ban Ki-moon. He will co-host the leaders summit on refugees with U.S. President Barack Obama. McCallum will meet with officials from at least 13 other countries who have shown interest in Canada's private sponsorship plan. 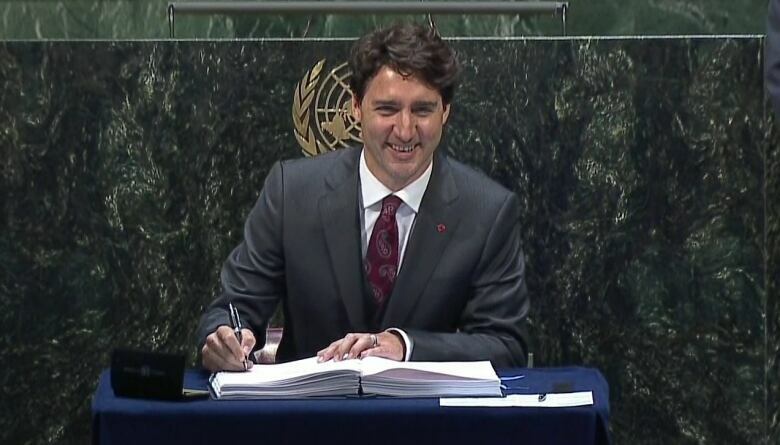 "Canada stands tall in United Nations refugee circles," he said. "We are seen as being a leader by … for having brought in those refugees so quickly." Listen to CBC Radio's The House at 9 a.m. (9:30 NT) on Saturdays.